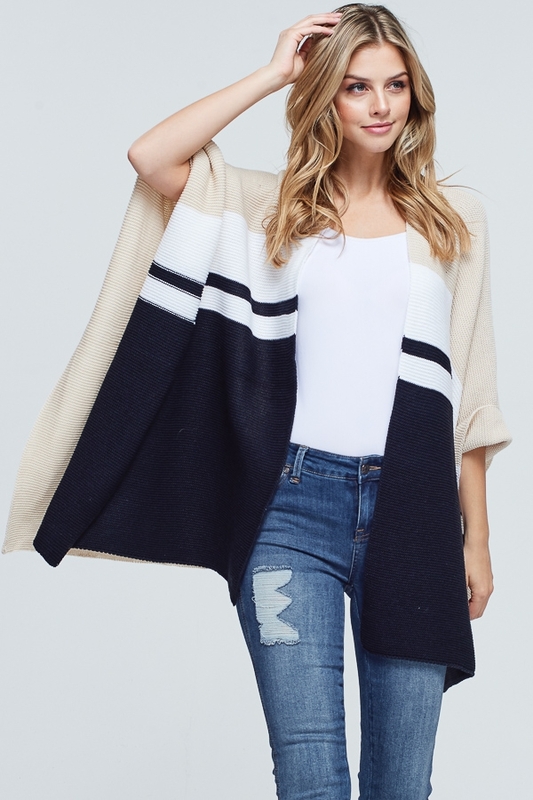 A 3/4 sleeve solid knit poncho with an open front featuring an asymmetrical hemline and loose fit. Fabric is soft, comfortable, and drapes well. Model is 5`8" and wearing a size Small.